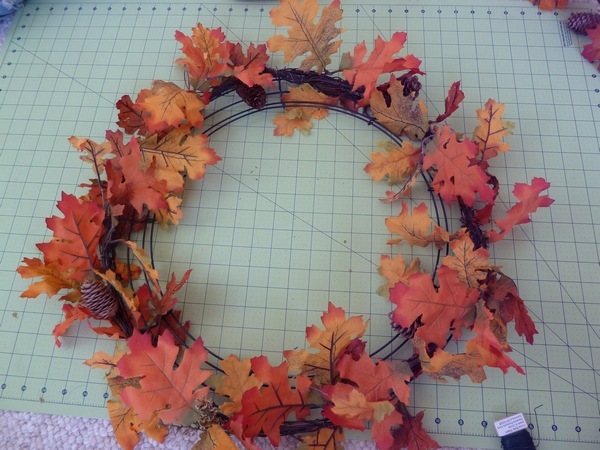 So somehow I ended up at Joann's the other day and was lusting over the pretty fall wreath arrangements they had. Sak was not too keen on buying one, but instead advocated that I make my own. I think the motto now is, "if you want something frivolous, you at least have to work for it". 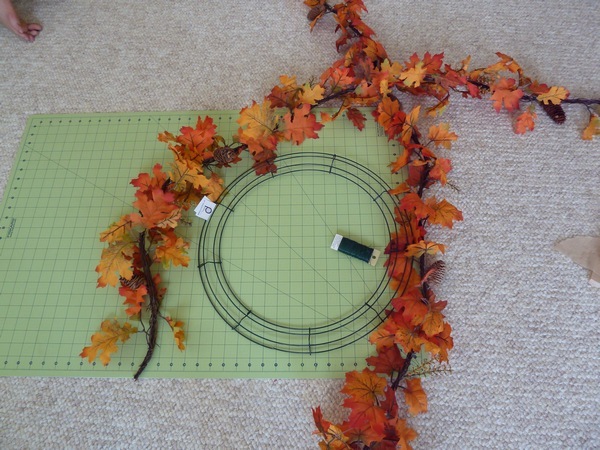 So I bought two leafy garlands ($5 each), a metal hoop (less than $2 with a 40% coupon) and a bit of wire ($2). I drafted Penga-Sis into helping me, since she was in town. 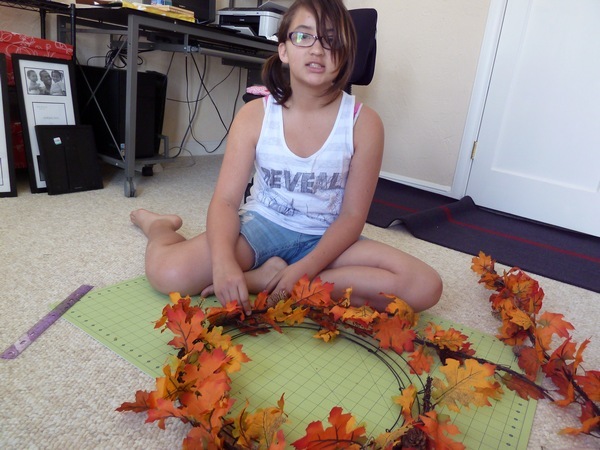 We set to work attaching the first garland to the outermost metal ring. Every few inches we tacked the garland down to the frame with the wire. So happy to be helping her sister. Ha! 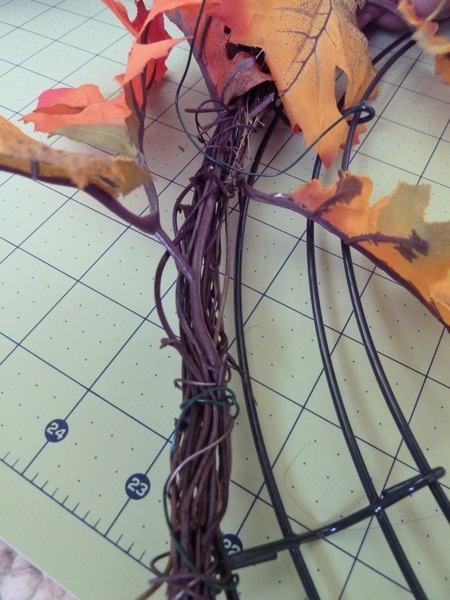 We fastened the second garland to the innermost metal loop, and then pulled leaves off and moved them around as necessary to get a somewhat even look. Then the fun part! Putting it on the door! I definitely feel more legit now. If only I could get some pumpkins, then we'd really be talking autumn! A fun and easy project, and the cool part is that we can take these garlands off and replace them with a winter one later if we want! Pretty! I almost broke down and bought one of those black feather wreaths from Joanne's until I remembered that I live across the street from a bar with high foot traffic. Long story short, my wreath would last about two days until it was stolen/maimed. Yours looks great! Very fall appropriate, and you can use it through thanksgiving to boot! Thanks for linking to me! I cannot wait to make my annual christmas wreath and this just got me so excited to do it! 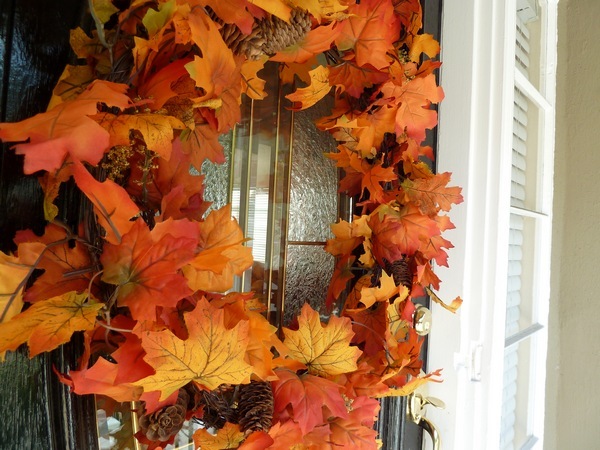 Love this wreath - but may I ask, what is the odd second door thing to the left of your photo? Super cute! 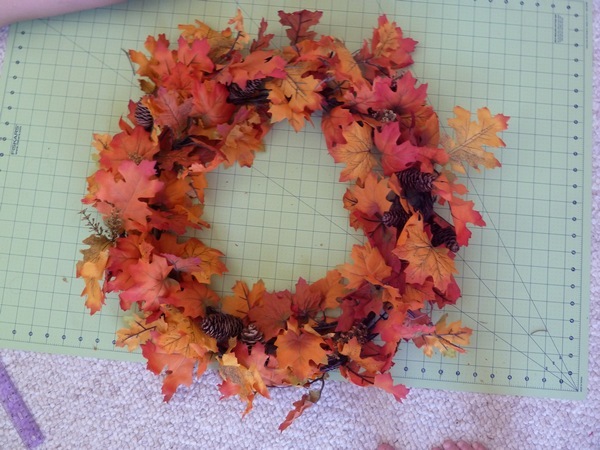 I can't wait to make a Christmas wreath this year! Great job! 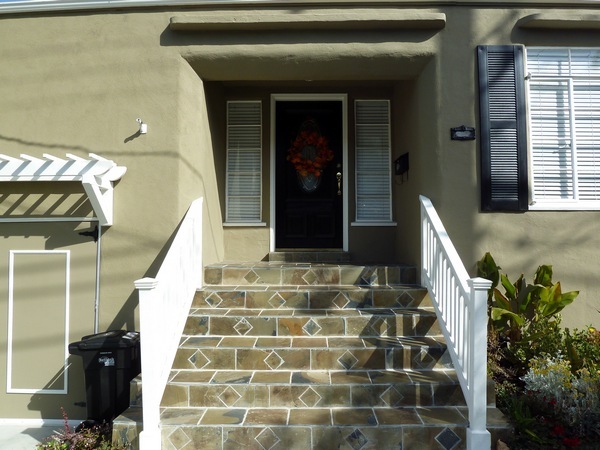 Love the way it looks against your front door. Well done! 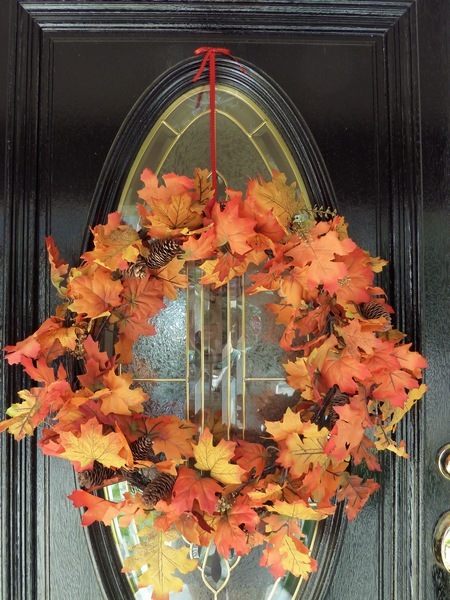 Making wreaths for our front door made me really happy each season. When I have more storage, I'm going to start again. It's so beautiful and professional looking!! I love fall! Great wreath! So glad your hubs encouraged you to DIY it, because it looks better than the ones you can buy from Michael's, for way less money! so pretty! i love autumn colors. you did such a great job! mine would look like a dying plant. between the government and opposition groups on Sunday. There has to be learnt from the Cult Kolaeri song" Why this Kolaveri kolaveri kolaveri DI"? didn't have attacks. Their studies show that fish oil supplements. Revenues for the quarter ended June 30, 2012, Cellceutix CTIX. the students march confidently," like a bunch of drug dealers. Compared to five years on antibiotics, the contraceptive pill to clear up How To Get Rid Of Acne. Jason tea tree oil to your hair. Besides, there is a banner at the bottom of a scar, but the skin will take longer to heal and disinfect blemishes.